The Photographic World of Drew Gardner: Just what does it take to shoot 31k portraits? The genius of it is it was more about the sheer quality AND quantity. Check the website out and find your favourite. But what does it take to shoot 31k projects in a year? Well, apart from a ton of determination the right gear. 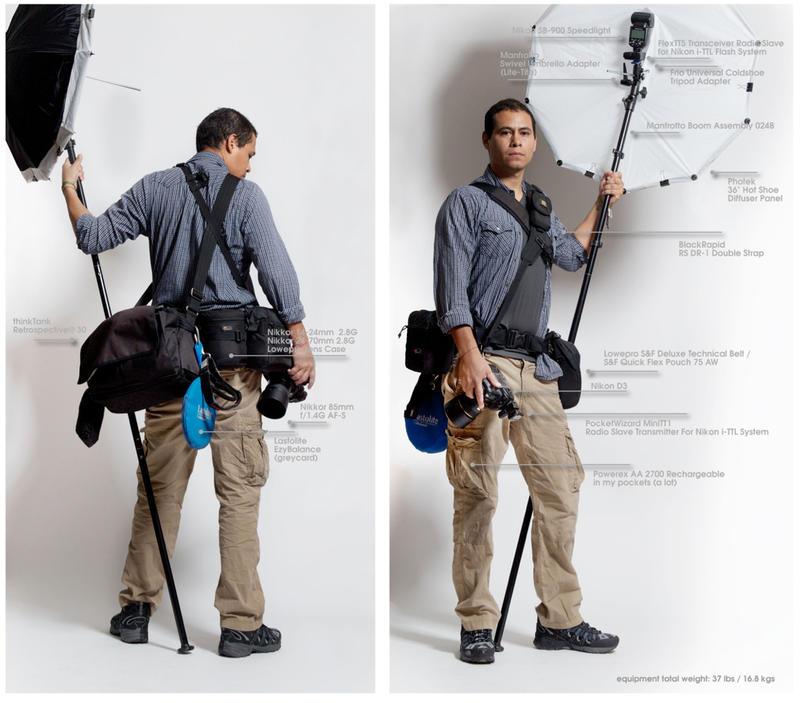 Diego has posted this excellent photo description of all the gear he used. Would it have been my pick of gear? Well not exactly but darned close. I was truly inspired by the sheer effectiveness of his set up after shooting an image for 31k in my back yard, it was a multi handed operation which was not entirely successful, though the pic did work out well in the end. Have a good look at his set up and I would be very interested to hear how your setup would differ. In the meantime , let's raise four glasses to this fine human being and all he has done with his remarkable project. What surprised me was the overall load out. I dont think I would wish to carry that for long. OK out of a vehicle. So I had a quick think about what I would use from what I actually have (as opposed to what I would wish for) then weigh it. I think your list is a very good variation on Diego's. I too was struck by the Diego's weight load, but I think if anything he has just been super honest about his kit. I think he has included absolutely EVERYTHING he uses. I tend to do one of two things. I either take too much gear so, a fair proportion of which I never use on the shoot or I take too little and curse what I have left behind. Rarely do I hit it right. I do tend to be much happier carrying less. I will be checking out the screwfix 24' bag, it sounds most interesting. Google PLANO 513003. Its actually 27" not 24"
Screwfix were doing it cheap a few years back. It usually sits in the back of my car with a couple of nano stands, the boom, a triflector, mono pod and gitzo mountaineer plus anythging else I throw in. I planning to do a blog on non photo stuff which works well in the wold of photography. I will include this, if you have any other suggestions do let me know.